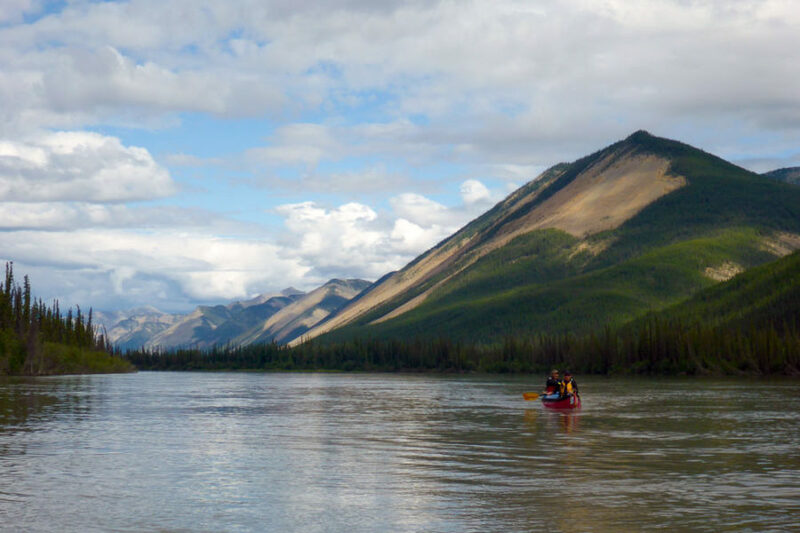 A Nahanni River experience is on every paddler’s “bucket list.” Limited time? You can still enjoy the iconic features of this world-renowned river. 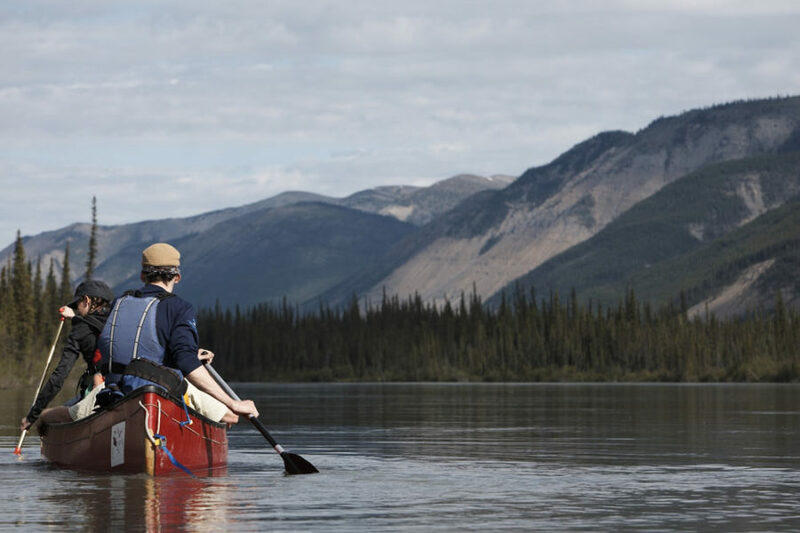 From the moment your floatplane touches down on Rabbitkettle Lake on the Nahanni River, you’ll be under the spell of this historic waterway. 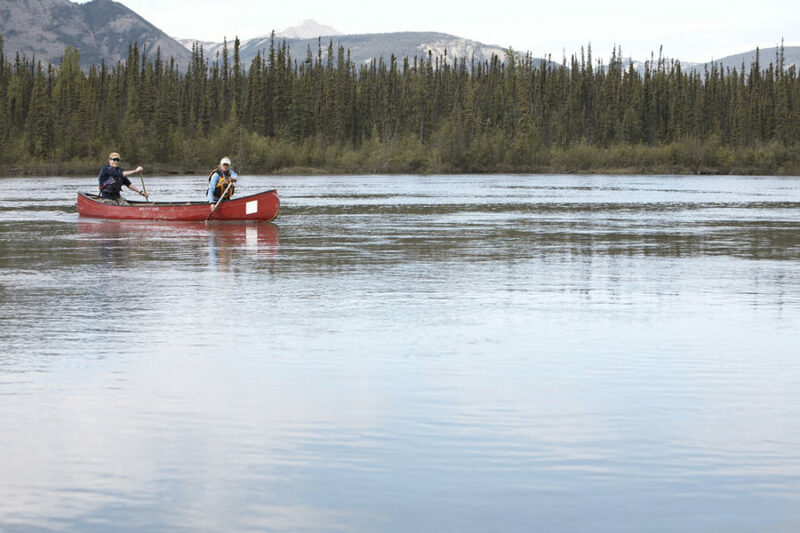 The beauty of Rabbitkettle Lake and peacefully canoeing the Nahanni through the Mackenzie Mountains is magical. Virginia Falls provides the crescendo for this fabulous canoeing adventure for beginners on this world-renowned river! 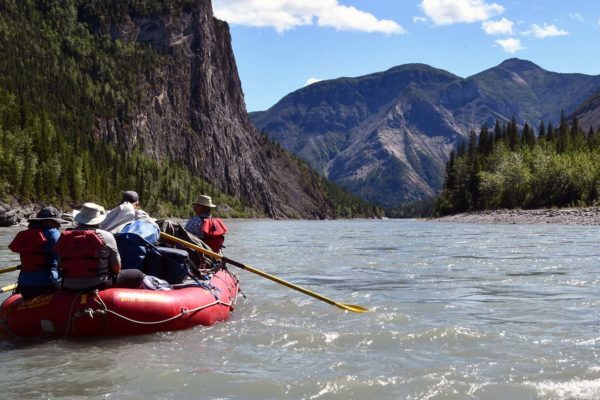 The flat water from Rabbitkettle Lake to Virginia Falls is considered canoeable by novices and the grand finale of this trip includes a flight home over the Nahanni’s canyons! 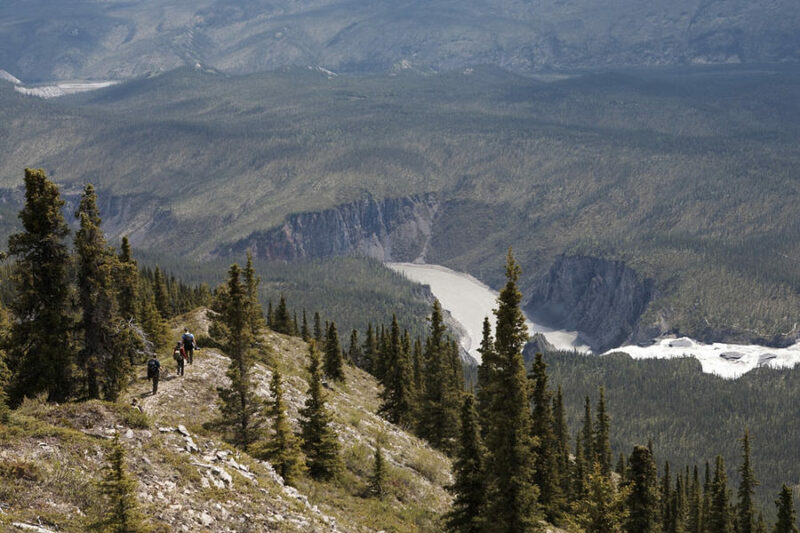 We begin our journey at Rabbitkettle Lake with a 1/2 kilometre portage to the Nahanni River. 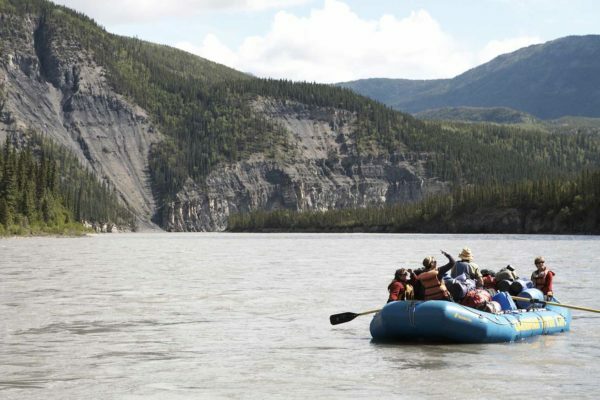 We canoe downstream to Virginia Falls where we have the option to join the Nahanni Canyons 7 Day trip or to continue by canoe or raft from Virginia Falls through the canyons. Skill Prerequisites: Beginners welcome! You’ll need flat and moving water skills, and good fitness. If unsure of your ability, please call with any questions: 1-800-297-6927 or (867)-668-3180. Your trip leader will meet you to transfer you to the float plane base (if you arrive prior, please make your way to your accommodation). There will be a chance for last minute questions concerning clothing, gear, packing and other details. You will also have time to transfer your gear into our river bags. You can leave unrequired items at our base/warehouse. Winging west, to the upstream boundary of Nahanni National Park, Rabbit Kettle Lake, on the edge of the Ragged Range, is our destination. In the company of a knowledgeable park warden we will hike the 7 kilometers (round trip) to the tufa mounds of Rabbit Kettle Hotsprings. 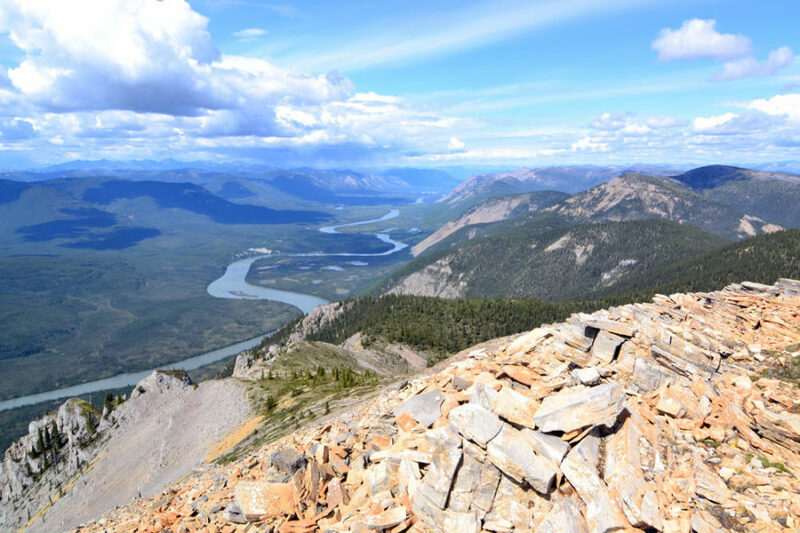 Here we find unique geological features that help weave together the geological past of the Nahanni. The 1 kilometer portage from the lake to the river will be made in the late afternoon. Camp will be downstream. This portion of the river which is above Virginia Falls is a flat, meandering section that allows opportunity to learn the necessary canoeing skills from the guides or brush up on techniques. The mountains and U-shaped valley created by the glaciers will dominate the scenery. Camping will be in one of the choice spots between Rabbitkettle Lake and Virginia Falls. As the river descends the valley, it begins to meander through lush vegetation. Moose, wolves, black and grizzly bear may be spotted here. The final camp before the falls will be on a small oxbow lake just off the river. This is a great site for wildlife viewing or fishing or hiking in the surrounding mountains. 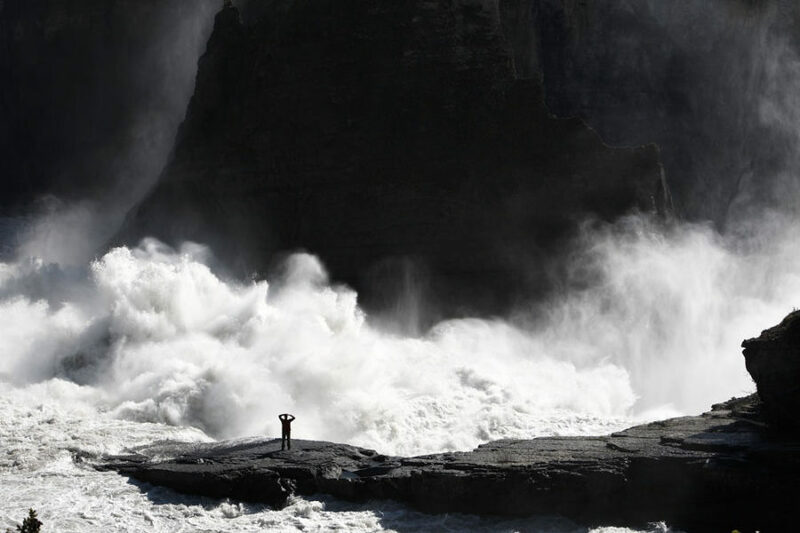 Virginia Falls (twice the height of Niagara) will be the destination. This is the other spot within the National Park where planes may land and we may see other campers here. 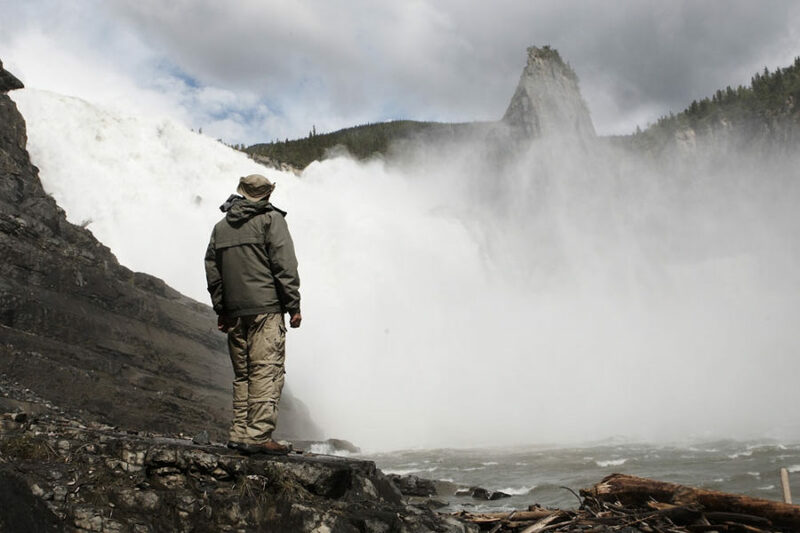 Once here, the day may be spent exploring and photographing the area surrounding the falls. 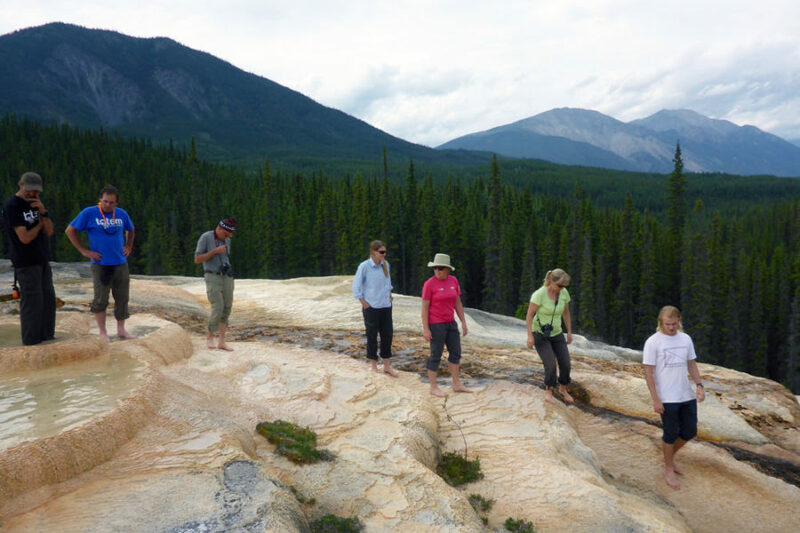 Those remaining to join the One Week Nahanni Canyon Adventure from Virginia Falls, may opt for a full day hike. Those departing the Nahanni will board the Twin Otter for the down river flight back to Fort Simpson. Nahanni’s canyons, following the river downstream, the dramatic flight will include views of the upper canyons, The Gate and Pulpit Rock, before heading across the Nahanni Plateau and karst lands, providing tremendous photographic material! Arriving in Fort Simpson, you will have time to explore the northern town before leaving the next day (accommodation not included). After a relaxing morning and time to look around the Village of Fort Simpson, you will board your homeward plane with a load of fond memories and a relaxed and renewed spirit! Please note: The above is a tentative agenda and has been designed with much thought to capitalize on the most scenic and exciting parts of the river while making time on other sections. Your guides will adjust the schedule to make the best use of river and weather conditions. We adhere to the departure regulation system of the Park which works to ensure that all river travelers have the same wilderness experience. 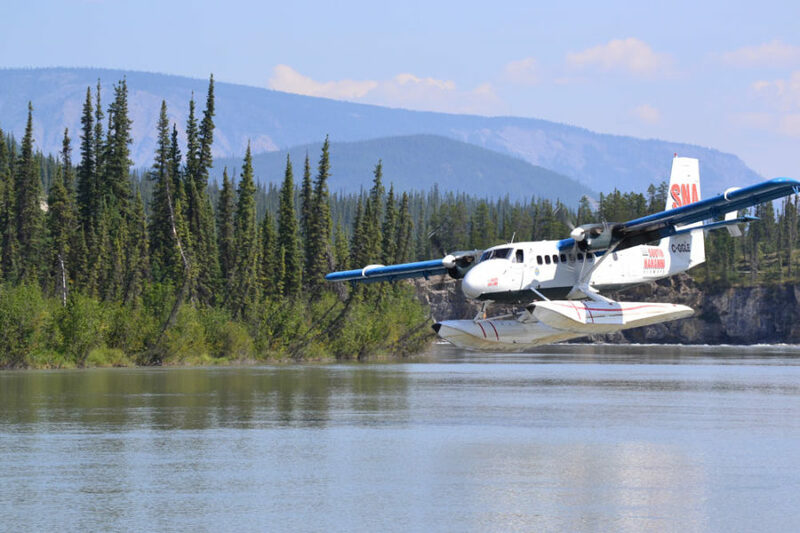 Under certain conditions (weather, forest fire, plane availability and upriver conditions), it may be necessary to make our upriver flight soon after arrival. On the other hand, we have occasionally found ourselves waiting for safe flying conditions. In any event, we will have supper and find ourselves camped in Ft. Simpson or on the shores of the Nahanni. If we are required to overnight in Fort Simpson you are welcome to camp or take a hotel room (at your own cost). Hotel costs and meals while in Fort Simpson are not included in the trip fee. Breakfast, lunch, dinner and snacks are included from the pre-trip meeting until the final river meal. Any other meals off the river are your responsibility.